Recombinant endoribonuclease over-expressed in E. coli. Hydrolyses specifically the phosphodiester bonds of RNA hybridized to DNA. Does not degrade single and double-stranded DNA or un-hybridized RNA. 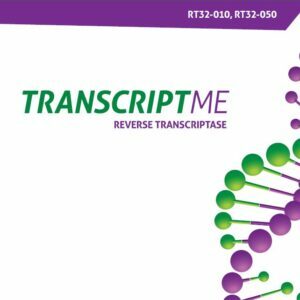 template may prevent binding of the amplification primers in a PCR reaction. Removal of RNA after first strand cDNA synthesis (RT-PCR and qRT-PCR). Removal of mRNA prior to synthesis of second strand cDNA. Removal of the poly(A) sequences of mRNA after hybridization with oligo(dT). Studies of in vitro polyadenylation reaction products. Use 5 U of enzyme to remove RNA from a RNA:DNA duplex after reverse transcription in a 20 μl reaction. If 50 μl reaction is desired, the use of 12.5 U of enzyme is recommended. The reaction mixture should be incubated at 37⁰C for 20 minutes. Store at -80°C or -20°C. 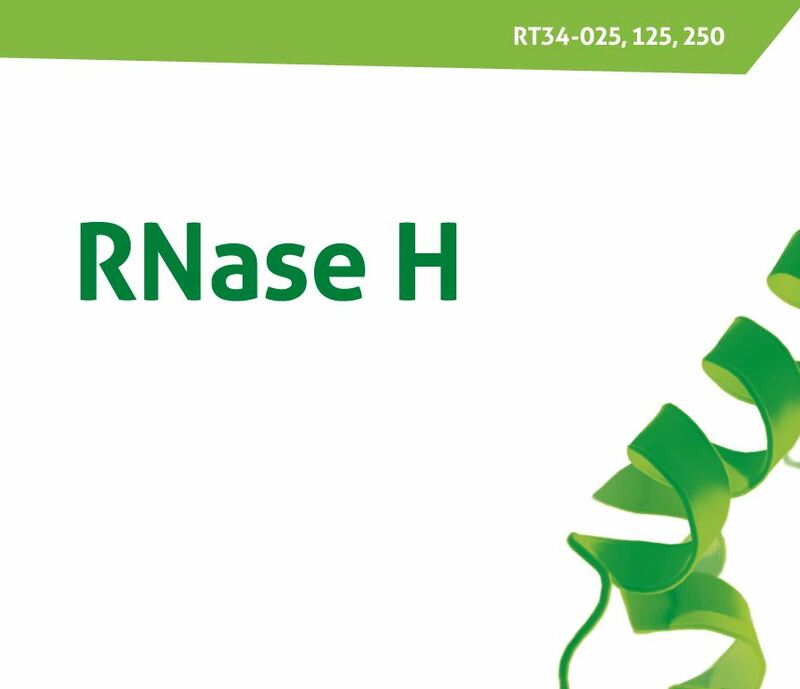 The activity of RNase H is inhibited by metal chelators (e.g. EDTA) and sulfhydryl SH-blocking reagents. Inactivate enzyme by heating at 65°C for 10 min.